Pear Festivals in 2019: Where, When and More to Find an Pear Festival Near You! Looking for a Pear festival in April 2019? There is no other listing as complete and current as this list, just updated! Pear festivals are held through the United States, Canada, Britain, and Australia and much of the world. All the Pear festivals we can find are listed on this page! 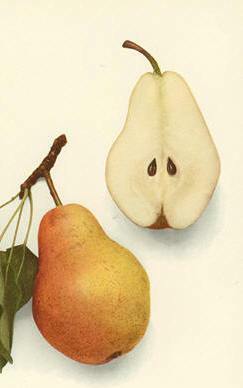 If you love pears, look for a festival near you below! And I'm looking for more Pear festivals! Please write me, if you know of any to add! I update the dates as soon as the festivals publish their information, but you can always click on the links (usually the name of the festival) to see the current information on the festival's own website. 165 West Main Street, Superior, Arizona 85173. . OK, the prickly pear is the fruit of a cactus and nothing like the other fruit pear, but hey, there aren't many of either festival! So this annual event originated from our friends at the Boyce Thompson Arboretum- A World Class Botanical Garden! (Located just 3 mi. East of Superior on U.S. 60) . The event begins Saturday morning with our local VFW serving a pancake breakfast with prickly pear syrup from 7:00 am - 11:00 am. Located on 405 Main Street. Retail vendors, Guest Speakers and information booths will be located at the Town Hall - 199 N. Lobb, Ave. from 9:00am - 5:00pm, along with a "Youth Pageant" from 10:00am - 1:00pm. The "Cactus Lounge" will be held in the Chamber of Commerce office at 165 Main Street. Featuring local artists, entertainment, prickly pear libations and refreshments from 11:00am - 5:00pm. Followed by "Tapas and Beverages" with live music from fromTrio Salado 6:00pm - 9:00pm. Kelseyville Pear Festival - held on the last Saturday in September. Joaquin Moraga Middle School, 1010 Camino Pablo, Moraga, CA 94556. Directions: At the orchard next to Joaquin Moraga Middle School, Come pick pears for the Contra Costa Community Bank and for your table. Meet at the corner of Canyon Rd and Camino Pablo. Wear sturdy shoes or boots. Pear picking tools will be provided.o. This acre has 100 year old pear trees! The annual Moraga Pear Harvest will be at the orchard next to Joaquin Moraga Middle School. The Moraga Park Foundation organizes the harvest and donates the pears to the county food bank. Every year Moraga donates about 10,000 pounds of pears were harvested by volunteers and donated to the Contra Costa and Solano Counties Food Bank. 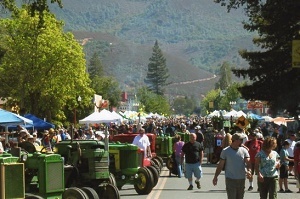 Moraga Annual Pear Festival - held on the last Saturday in September from 10 AM to 4 PM. Joaquin Moraga Middle School, 1010 Camino Pablo, Moraga, CA 94556. The event features live music, food, children's activities, pear recipe contest, and sale of pear pies. 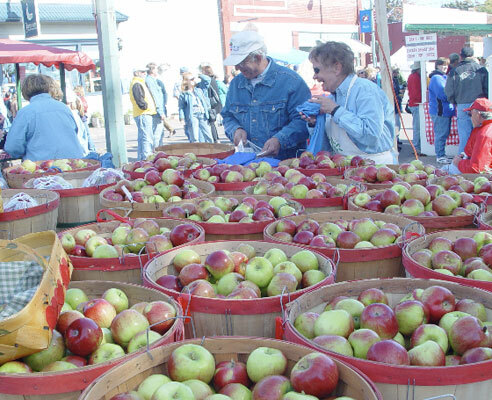 It is a Family event with music, artists booths, pear cooking contest, children's activities, and sale of pear pies. Entertainment at the Festival will consist of local bands during the afternoon. A limited quantity of fabulous Pear Pies will be sold; whole or by the slice! Pear Pie sales start at 10:00 AM at the Moraga Park Foundation tent. There is a Pear Recipe Contest - Entries must be delivered by noon, including the prepared dish, recipe instructions, contestant's name, addres and phone. Contest winners will be announced at band shell at 1:00 PM. All ages are encouraged to enter. Children's games and activities; Entertainment at band shell including an afternoon concert. The Moraga Pear Festival celebrates the heritage of the Moraga Valley that was once covered with pear orchards. One section of the pear orchards still stands at the corner of Canyon Road and Camino Pablo. This acre has 100 year old pear trees! Downtown Medford, Medford, OR. Phone: 541-840-8007. Email: [email protected]. Since 1954, tens of thousands of southern Oregon locals have cherished the Pear Blossom Festival and its many events..Through it's 65 year history associated events have been added, including the Scholarship Pageant, Run and Street Fair. In recent years, the Pear a Fare (local artisan food& beverage tent) and the Smudge Pot Stroll (downtown restaurant event) have been added to make "The Pear Blossom" a true "Festival". We are very excited for 2018 to give even more of our community an opportunity to be involved in Medford's oldest tradition! The Pear Blossom Parade - Saturday at 11 am in Downtown Medford. The Parade has grown from 20 wagons and youngsters in the first event to today's 150 entries with 4000 participants and 25-30,000 enthusiasts lining the parade route. The Pear Blossom is a pillar in our community emphasizing family values, commitment and pride in our Rogue Valley. Scholarships for area high school senior girls have been a hallmark of the Festival Association since 1991. The Parade starts at Beatty & Central, proceeds down Central Avenue, turns right onto West Main Street and begins dispersing at Mistletoe. Parking to view parade will be the side streets surrounding the parade route.